It has been found that those children who come from disadvantaged homes struggle more to attain the national average. There is a 16% difference between disadvantaged pupils and others at the age of 11. This has resulted in the introduction of the Pupil Premium, which aims to address this disparity. 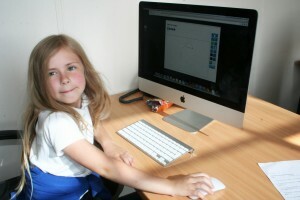 It provides schools with around £600 extra per student who is on free school meals. This money should then be spent targeting those students who need support. Targeted support for pupils who are failing to reach a sufficient standard of literacy is particularly effective way of reducing the achievement gap. It is important for teachers to be able to track students progress and keep records of how each child is performing. Not only that, but a system that can be individualised to each student or a group of students is extremely important, so that you target to their needs. A learning platform such as Learnanywhere would be perfect, for not only tracking students work – via self-marking quizzes, but by allowing you to focus on one set of pupils. Learnanywhere allows you to add specific courses to a child’s account, therefore those who need extra support could have additional, tailored courses to complete. These could be completed as homework or during special sessions during the school day. Learnanywhere’s avatar feature, part of the rewards function, learning is made more fun. Children who have completed good work or who have shown great enthusiasm can be rewarded with points that they can then spend on clothes and accessories for their own personal avatar. Improving engagement is the first step in raising attainment. No matter how you use your Pupil Premium, make sure that you include all staff members so that they are on board and ensure that you can measure the results, allowing you to see if you’re doing the right thing. This entry was posted in Ideas and Useful Links and tagged primary learning platform, pupil premium funding, raising attainment. Bookmark the permalink. Both comments and trackbacks are currently closed.